Ofsted Inspection date 6 July 2018 - White Rock Pre-school is an outstanding pre-school in all areas: "Staff have warm and cherishing relationships with all children. They know and value their uniqueness, nurturing their personal development to help children flourish into resilient learners." 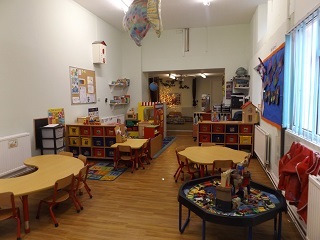 Our Pre-School, which opened in 1994, is operated as a non-profit making charity and run by fully qualified staff, overseen by a voluntary committee. We offer education and care for children from the age of 2 years until they leave to start Primary School as a rising 5 year old. We are registered with Ofsted as a day care provider to care for a maximum of 20 children. Our small pre-school offers high quality childcare in a lovely location very close to White Rock Primary School, and next to a very child friendly park which we make regular use of. We pride ourselves on creating a cheerful, caring atmosphere for our children, and we have a high staff to child ratio to ensure individual care and attention. Our well qualified staff look at the next steps required for every child to develop to their full potential, by the use of regular observation and assessment of each child. Science Week Photos in Galley! Rising 5's photos in gallery!